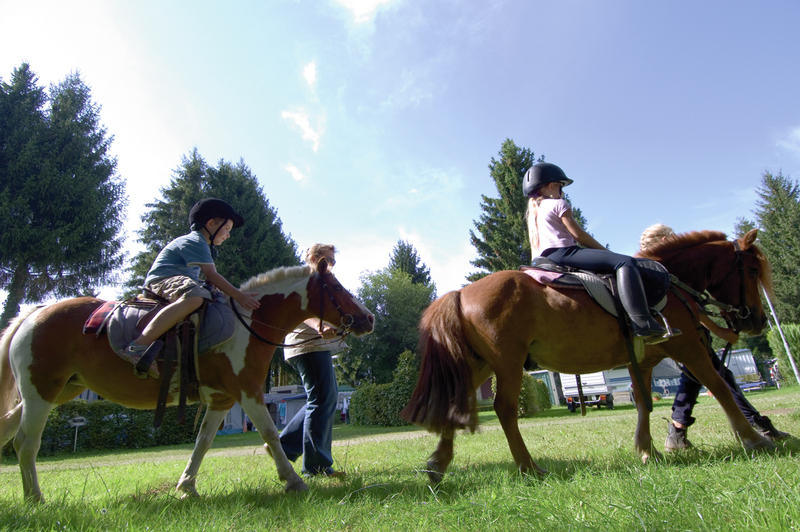 GITZ keeps the kids on the go – in the riding school at the GITZ Pony Farm, under professional guidance youngsters can learn about everything to do with horses: feeding, grooming, saddling and bridling and of course riding. A ride through the adjoining woodland on their “own” rental pony, will make any kid’s heart beat faster. And for those who want to become real professionals, an hour’s riding lesson or on the longe is just right. Our activity program covers a whole “pony day”, offering a chance to get to know these wonderful four-hoofed friends really close up and spend a lot of time them playing exciting games with them. For as the well-known saying goes: the greatest happiness on earth can be found sitting in the saddle of a horse.